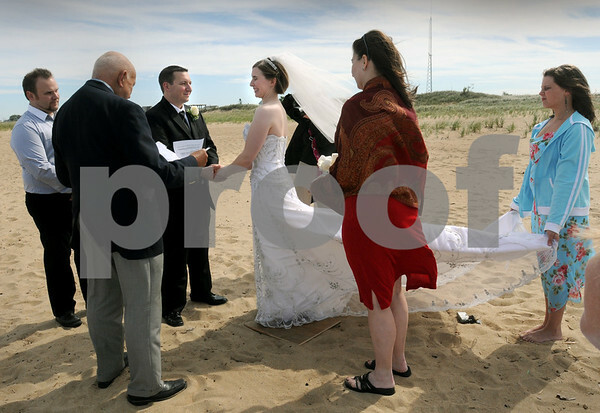 Newburyport: Nick Costello officiated at the marriage of Ryan Dwyer and Joanna Reddy at Plum Island Point. Also in photo is best man Brian Reddy, maid of honor Heather Dwyer, right, and Melissa Barrett, far right. Bryan Eaton/Staff Photo Newburyport News Tuesday September 9, 2009.